Drops villas is a lovely new built complex with three independent untis/villas, located at the traditional settlement of Vothonas. Vothonas is in the heart of the island, guests have ease of access everywhere either by car or public transportation. Each villa has a living room with a kitchenette, bathroom with shower and terraces with a hot tub or a swimming pool. Drops Villas are located in Vothonas within 5 km from Kamari Beach . In a serene location, in the heart of the island, surrounded by windmills and offering sea views , Drops Villas combine traditional architecture and modern amenities. All units include a satellite flat-screen TV and DVD player. 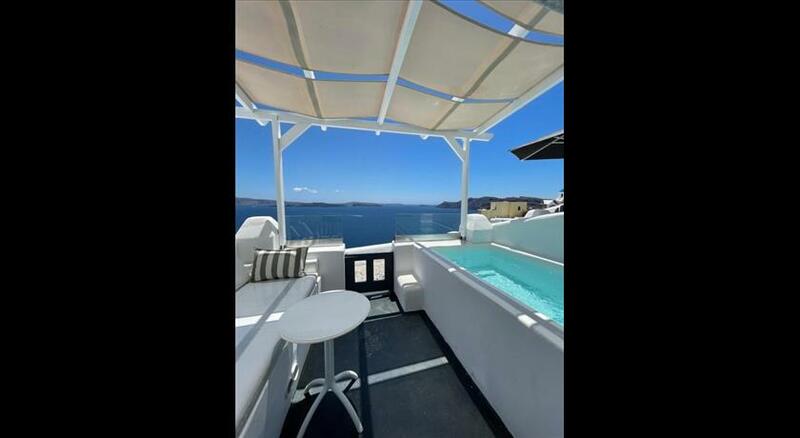 Some units have a balcony and/or patio with sea or pool views. There is also a kitchenette, fitted with a toaster, refrigerator, stovetop, minibar, coffee maker and a kettle. 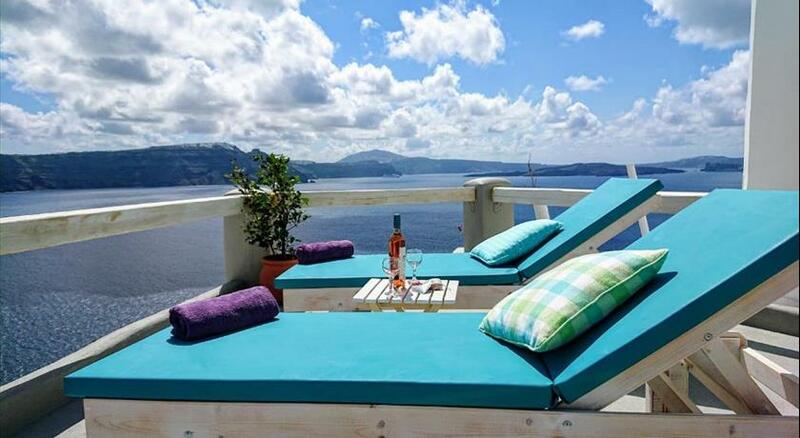 Drop Villas offer either an outdoor jetted tub or a swimming pool, with beautiful terraces. The property provides a reception area which offers assistance for tours, car rentals, massage treatments, packed lunches. 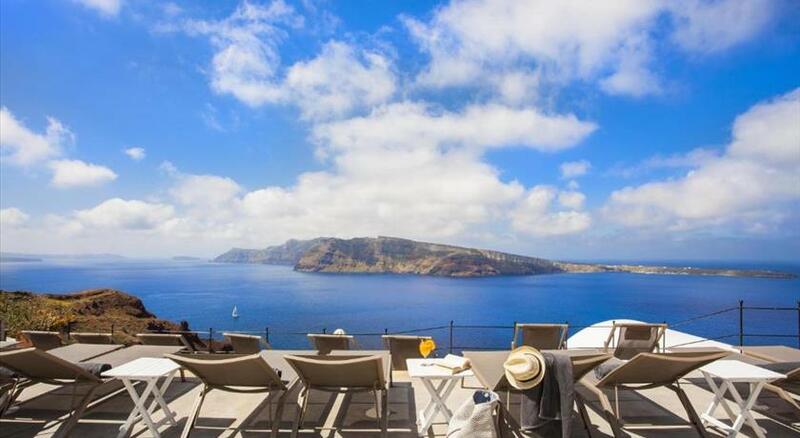 Fira, the island’s capital, is 7 km away. 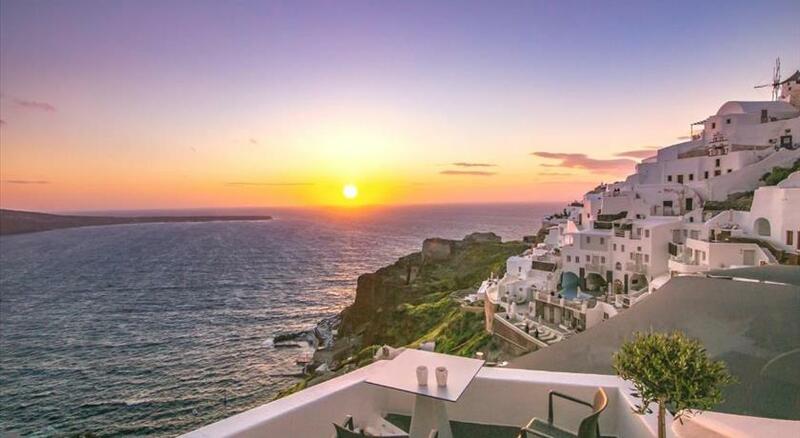 The nearest airport is Santorini (Thira) Airport, 3 km from Drops Villas. All children are welcome. All children under 12 years are charged EUR 20 per night for extra beds. All further older children or adults are charged EUR 40 per night for extra beds. The maximum number of extra beds in a room is 1. Please inform Drops Villas in advance of your expected arrival time. You can use the Special Requests box when booking, or contact the property directly with the contact details provided in your confirmation. Kindly note that children under 8 years old are not permitted.